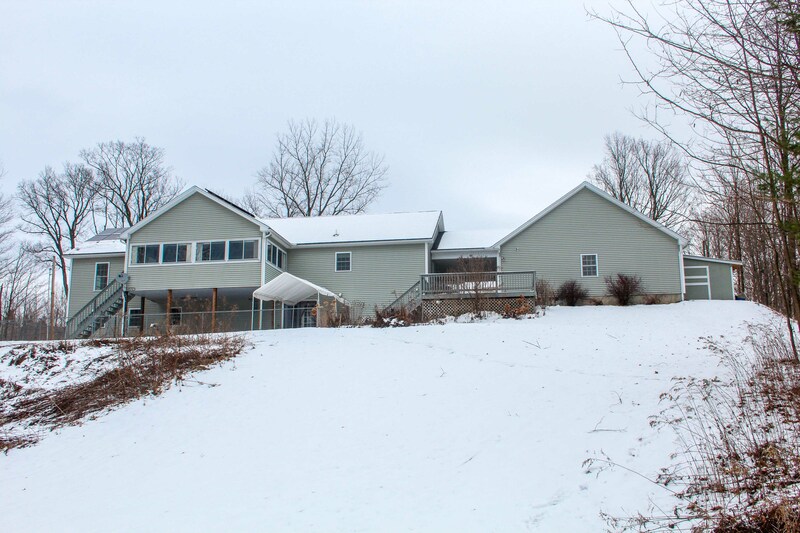 This week our listing of the week is this gorgeous hillside ranch style home located in Milton, Vermont! 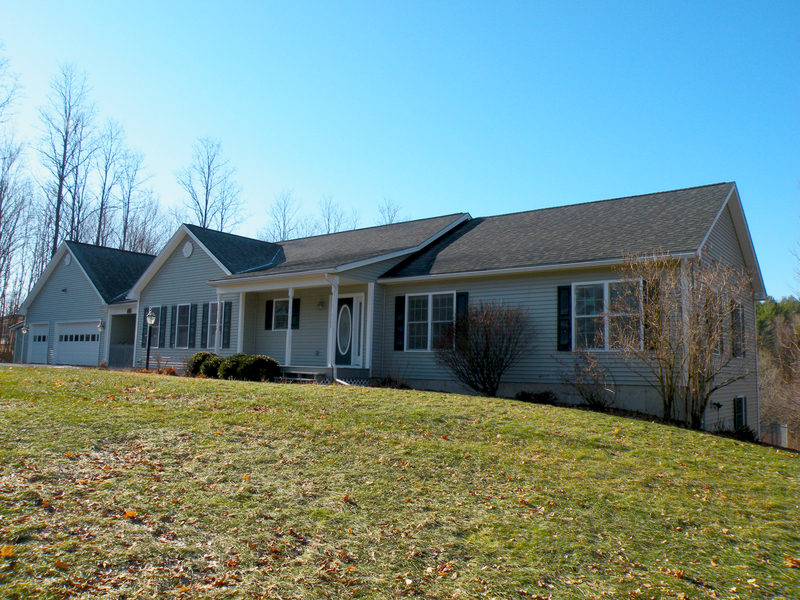 This bright and sunny 4 bedroom and 3 bath home overlooks 11.42 acres, situated in a lovely country setting. The home itself is meticulously maintained and has a bright and sunny open floor plan, the options are endless. Enjoy the easy one level living with more rooms then you can imagine. Let’s take a tour! When you enter the home the first feature is the open foyer with tile floor, to your left is the sun-filled dining room with hardwood floor. The dining room overlooks the living room complete with gas fireplace with access to the sunroom. 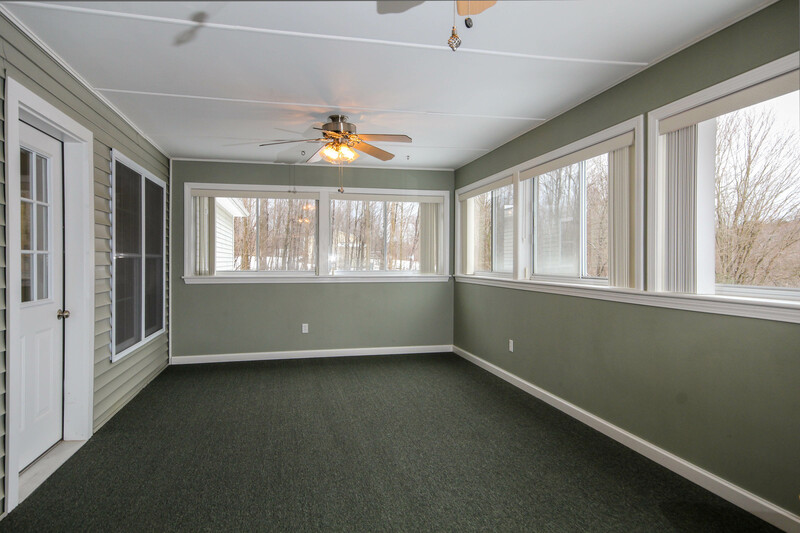 The 3 season sunroom is spectacular for watching the sun come up with your morning cup of coffee. From the sunroom there is another doorway connecting you right into the master bedroom with an oversized walk-in closet and private master bath. Down the hall from the living and dining room are two guest bedrooms with generous double closet space, plus a full guest bath. In the opposite direction you can find yourself in the kitchen; with oversized center island, a pantry closet,complete with plenty of cabinets and counter space. 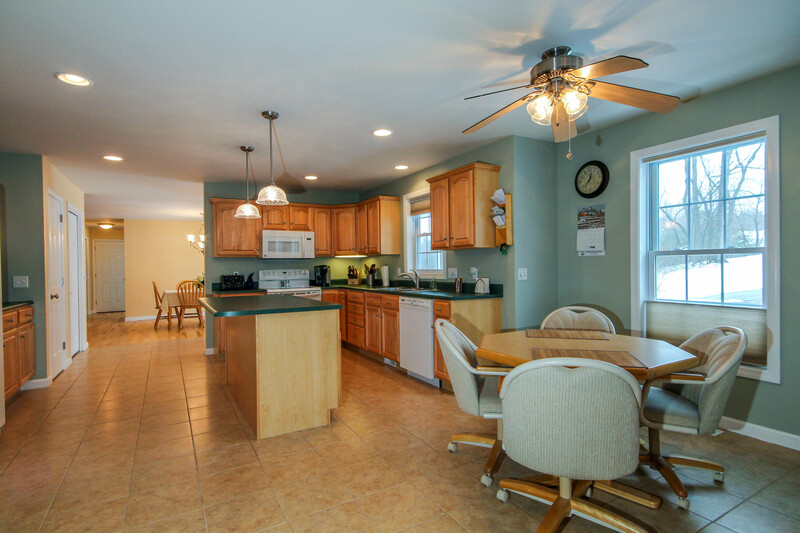 The kitchen also opens to a breakfast nook full of windows and sunshine which opens to the family room. The kitchen and family room are separated by a half wall with decorative pillars giving each space its own distinction. The family room is a perfect area for watching the big game or entertaining guests. The laundry and breezeway to the garage are placed off to the side of the family room. The finished lower level includes the unique opportunity of a separate living space; including a spacious guest bedroom, a ¾ bath, a den area, a separate office space, and a full kitchen! It’s ideal for extended families that are visiting, or perfect for a home business. Walking down into the lower level you enter an open room with French doors leading to the back covered patio area. Straight down the hall towards the den you pass the guest bathroom. The den is equipped with a pellet stove and finished off with beautiful crown molding. Right off the den you’re led into the spacious guest bedroom with its very own walk-in closet. Then you have the kitchen to the other side of the den. 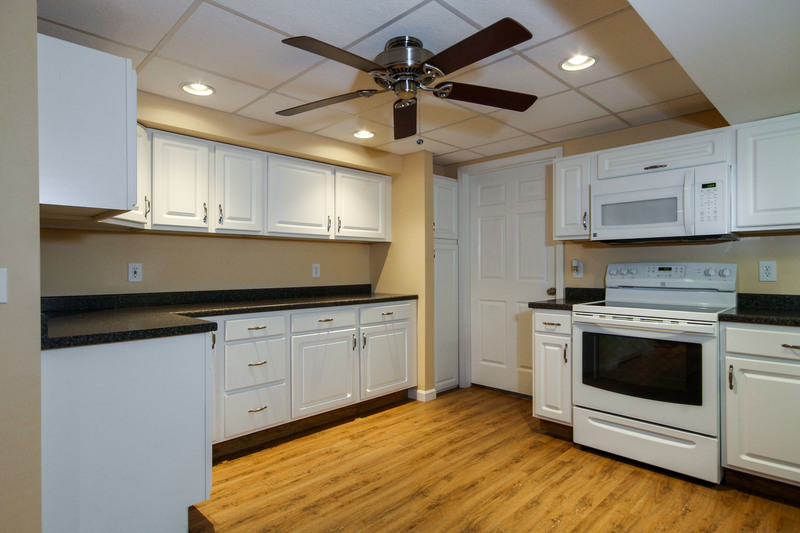 The kitchen is comparable in cabinet and counter space to the upstairs with recessed lighting and pantry alike. 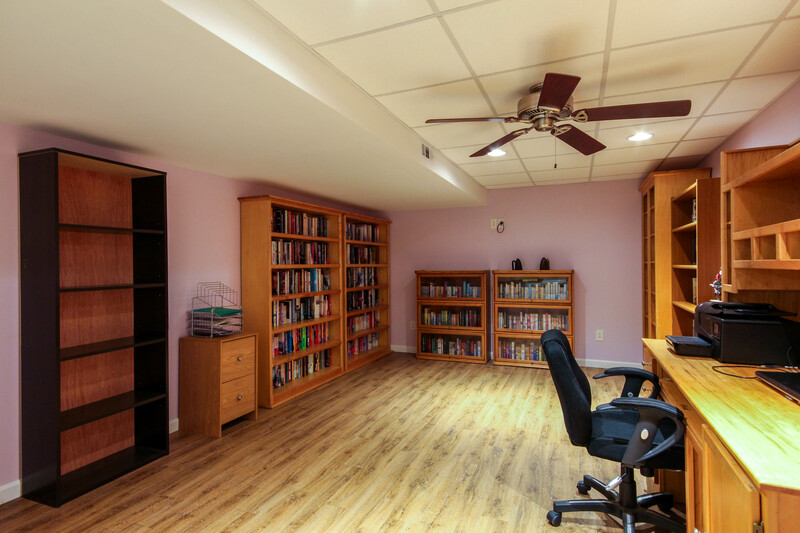 Opposite the kitchen is the large office space which is also prefect for a rec room or play room; it’s up to you! The 11.42 acres of land really makes this property special. In the front you have a breezeway connecting the house to the three car garage with overhead storage and attached shed. 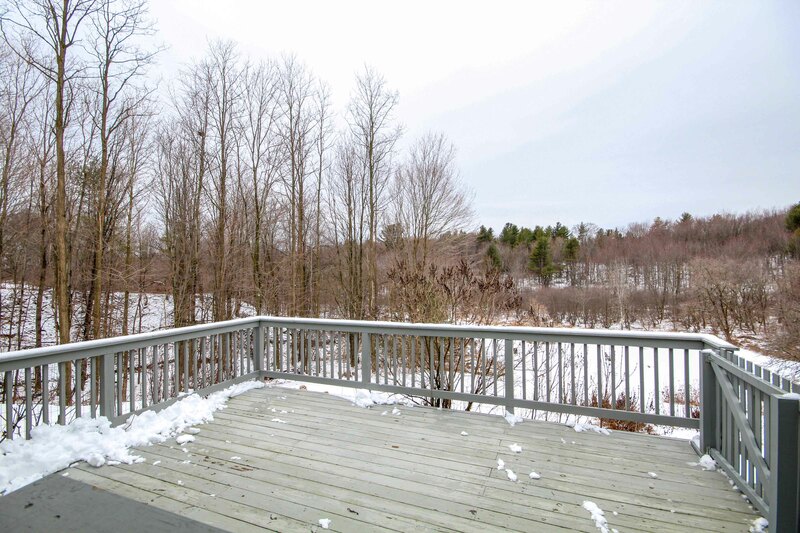 From the breezeway you are brought onto the expansive back deck area overlooking the whole private property. The stairs lead you down to the private patio area with access from the lower level. This area is great for gardening, having summertime cook outs, or just to enjoy the sunsets. This one has it all! Vermont winters are notorious for our annual snowfall and winter sports. It is the best time of the year, while also the most stressful. The snow and cold can wreak havoc on our daily lives, especially for those who are homeowners. To help you out with the common stresses winter can cause here are some maintenance tips to help you along. Don’t Forget about Your Yard: Even though landscaping is not a concern during the colder months of the year there is upkeep to take care of. The number one rule is to always make sure to clear snow and ice from walkways, porches, stairs, and the driveway. Also, your gutters should be cleared of any leaves or other debris. This will help the rain and melting snow drain properly. Keep Foyer/ Entryway Clean & Clear: If you don’t have a mudroom in your home put out a matt for people to take their shoes or boots off when entering. Keeping a clear entrance, without anyone tracking in the snow and salt from outside, will make it easier for you to keep the rest of your home clean. Blocking Household Drafts: Removing any window units, such as air conditioners or fans, is an obvious way to keep out the chilly air. If you do not have the ability to remove the air condition, due to no available storage space, you can always seal your entire window. This will get rid of any drafts and make it easier on you in the spring. Blocking drafts will also help you reduce your energy costs. Prevent Unwanted Guests: Repair any crakes or holes within your home. Doing this will prevent rodents such as, squirrels or mice, from getting inside your warm home and out of the cold. Regular Chimney Cleaning: Having a working fireplace during the brutally cold winter is a great way to make your home feel nice and cozy. Even though chimneys are great to have, you need to make sure to keep up with the maintenance. It’s typical to get a chimney cleaned at least once every two years. Having your chimney professionally swept will prevent build up and decrease the risk of causing a fire in your home. Outside Water Sources: Make sure to shut off all exterior water sources. Most people forget about this essential tip, especially new home owners, but it is vital to remember. Once the faucets are properly turned off make sure to drain any lines to prevent water from freezing and causing any pipes to burst. Keep Door Locks from Sticking: It seems that nothing works right in extreme cold, including door locks. If you have ever gotten stuck outside in the freezing cold unable to open your door it’s because locks tend to stick in low temperatures. This is one problem we have all faced one time or another, but it’s easy enough to prevent by just spraying the exterior lock with powdered–graphite lubricant. See below just a few of the many reasons why 2017 will be your year if you’re searching for a home. 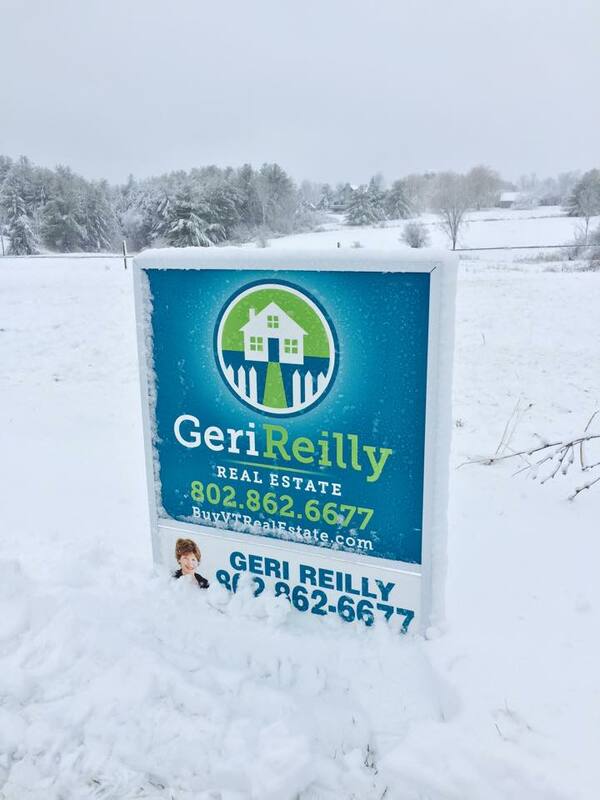 If you need help or know anyone looking to buy or sell real estate in 2017, please do not hesitate to reach out!